Developing a multi or targeted nutrients that are Certified USDA Organic, Non-GMO Project Verified, made from nothing but real, whole foods is incredibly difficult which is likely why it had never been done before. For us, it took years of innovation and patience. Our extended family of organic farmers provides the fresh fruits, vegetables and herbs that make up mykind Organics personalized, whole food formulas. Each tablet or spray provides clean, whole food, perfect nutrition. In addition, mykind Organics is the first multi to utilize Clean Tablet Technology, our patent-pending process that uses only organic, whole food ingredients. mykind Organics is a unique brand of vitamins that stands apart from all other vitamins because it is made exclusively with organic whole foods. It is the only brand of vitamins currently available that is dual certified, meaning it is both Certified USDA Organic and Non-GMO Project Verified. It is also independently certified as both Vegan and Gluten Free. mykind Organics Women's Multi is designed for women under 40 years of age. Made exclusively with organic foods and herbs, two clean tablets daily provide 21 essential vitamins and minerals with added vitamin B-12 (500% DV) as methylcobalamin and 10mg of natural iron. 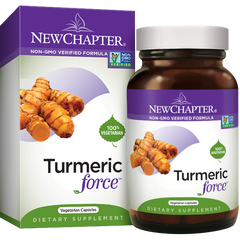 It is formulated to meet women's specific health, energy and beauty needs. Finally, there's a whole food multi from real, nutritious foods that's Certified USDA Organic, Non-GMO Project Verified and is specifically formulated for the needs of women mykind Organics Women's Multi. Made from over 30 powdered organic fruits, vegetables and herbs, mykind Organics Women's Multi offers 21 vitamins and minerals with 16 greater than 100% Daily Value (DV), including targeted levels of B vitamins for radiant skin and nails. 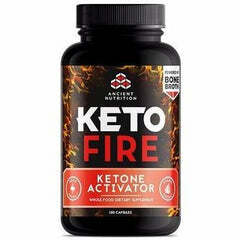 It also provides a whopping 500% Daily Value of vitamin B-12 in methylcobalamin form a highly absorbable, active, natural form of B-12, like the B-12 in the body. 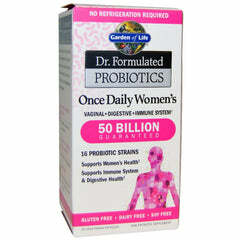 Women's Multi also delivers vegan D3 from lichen for immune support and 10mg of iron for blood support. Women's Multi is made from real organic whole food, including lemons, annatto, amla berry and holy basil providing perfect support for your demanding lifestyle all in just two organic tablets daily. mykind Organics Women's Multi a Certified USDA Organic, Non-GMO Project Verified women's multivitamin formula made from certified organic whole foods for women's health, energy and beauty.